The MiniTec modular aluminum profiling solution is perfect for building Football dugouts and exclusive sports shelters for many pitch-side sports. 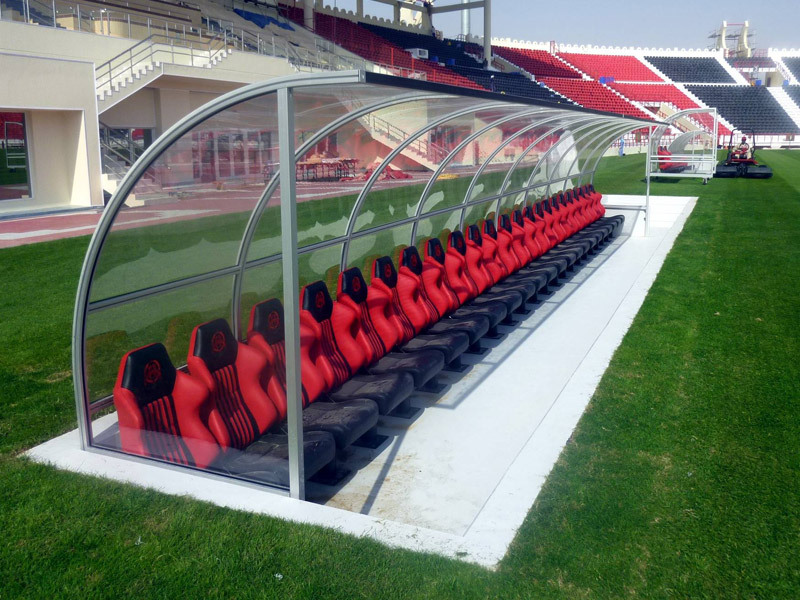 MiniTec UK has been instrumental in the design and build of sports shelters for some major sporting events around the world, including the 2011 Asian Cup Football Competition in Qatar. MiniTec sports shelters are manufactured from anodised aluminium and designed to last 10-15 years. These sports shelters offer a low cost, long-term solution for football dugouts and are comfortable, durable and designed and built to standards laid down by the Football Association in the UK. MiniTec sports shelters can be delivered fully assembled and simply need to be bolted to a solid base. Installation can be completed inside two hours. 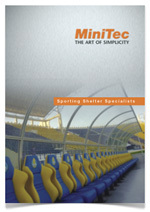 Why not find out more by downloading our Sports Shelter Manufacturers Brochure? Help you meet the FA’s ground grading criteria. Peace of mind and ready for league football. Excellent opportunities for advertising revenue from large surface area. You could even cover the cost on advertising space alone. Players and Coaching staff all get an excellent viewing position. Also, options for the fans to see their footballing stars. Select from a variety of panel types and colours to match your team. Colour schemes can be altered to suit individual club colours. Almost limitless choice and fully interchangeable if required.